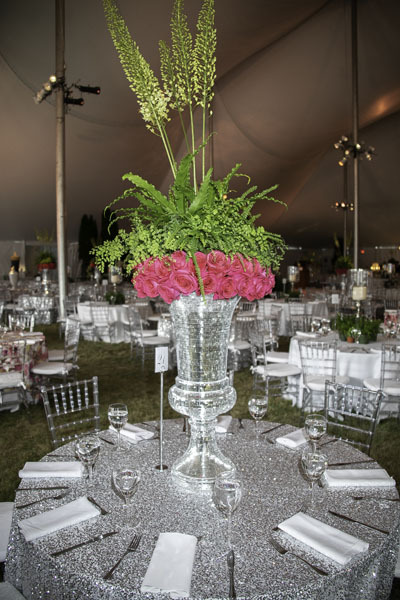 On Saturday, August 4, 2018, Stony Brook Southampton Hospital’s 60th Annual Summer Party “Diamond Jubilee” attracted 700 guests and raised approximately $1.5-million to benefit the Jenny & John Paulson Emergency Department. 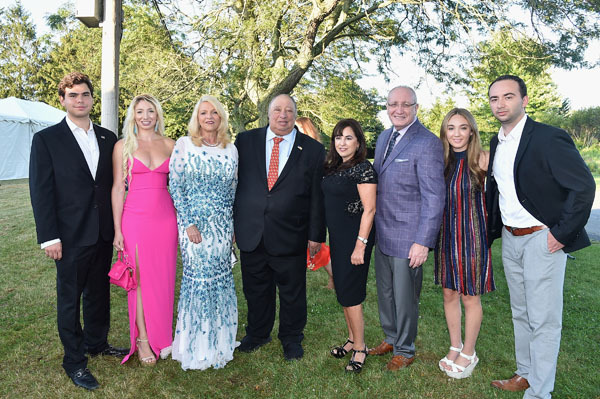 Held under three tents on Wickapogue Road in Southampton, New York, the event honored the Catsimatidis Family – Margo, John, Andrea and John Jr. – and the Mosler Family – Wendy, Bruce, Charlotte and David – as role models for philanthropy, service, and commitment to the underserved. The evening’s hosts were Howard M. Lorber, Chairman, Southampton Hospital Foundation, and Kenneth B. Wright, Chairman, Southampton Hospital Association. 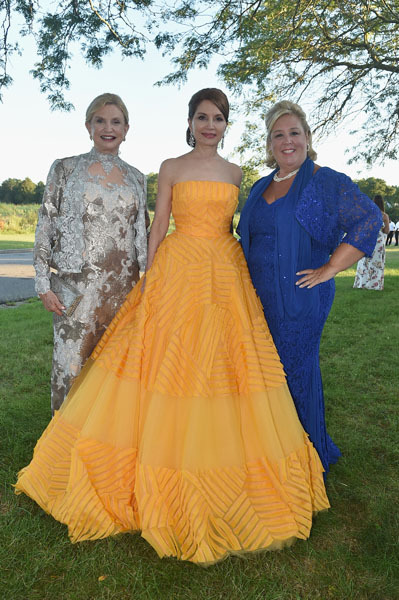 They were joined by Robert Chaloner, Chief Administrative Officer, Stony Brook Southampton Hospital, and Steve Bernstein, President, Southampton Hospital Foundation, in welcoming guests. 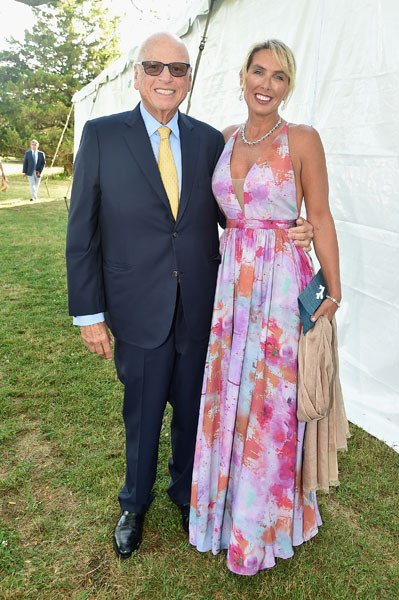 Emcee Chuck Scarborough noted the evening’s success was due to the efforts of the event’s Chairs and Committee including Nancy Jane Loewy, Jean and Martin Shafiroff, Caitlyn Diebold O’Connell, Michael Lorber, and Douglas Elliman Real Estate. Attendees included: Ernest Baptiste, Rita Cosby, Cristina Cuomo, Marianne and Mark Epley, Somers Farkas, Ann Grimm, Dottie Herman, Father Alex andMrs. Xanthi Karloutsos​, Jean Remmel Little, Margo Nederlander, Reuven Pasternak, Jenny and John Paulson, Julie Ratner, Alex Roepers​, Dr. Samuel Ryuand Mrs. Yoonn Ryu, Ellen Scarborough, Sammi and Scott Seltzer, Melanie and John Wambold, Cindy and Ladd Willis, among others. 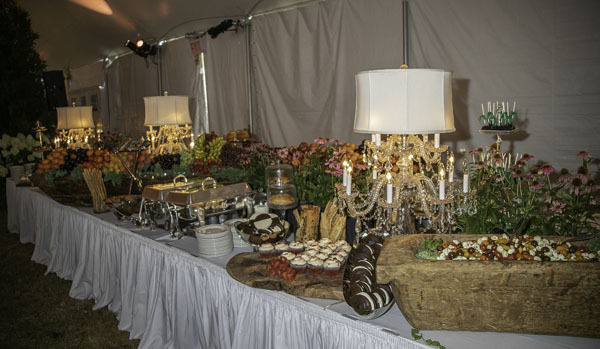 Lawrence Scott Events curated the dinner and décor. Music was by Groove Society. Stony Brook Southampton Hospital is recognized by the NYS Department of Health as a provisional Level III adult trauma center, the first one on Long Island’s East End. This designation enables the Hospital to provide care to the most critically injured patients. During the summer season when the regional population swells, it is even more critically important that trauma care be accessible close by. Faster treatment for trauma patients can mean the difference between life and death, so support for this essential service is vital. For more information please visit southampton.stonybrookmedicine.edu.